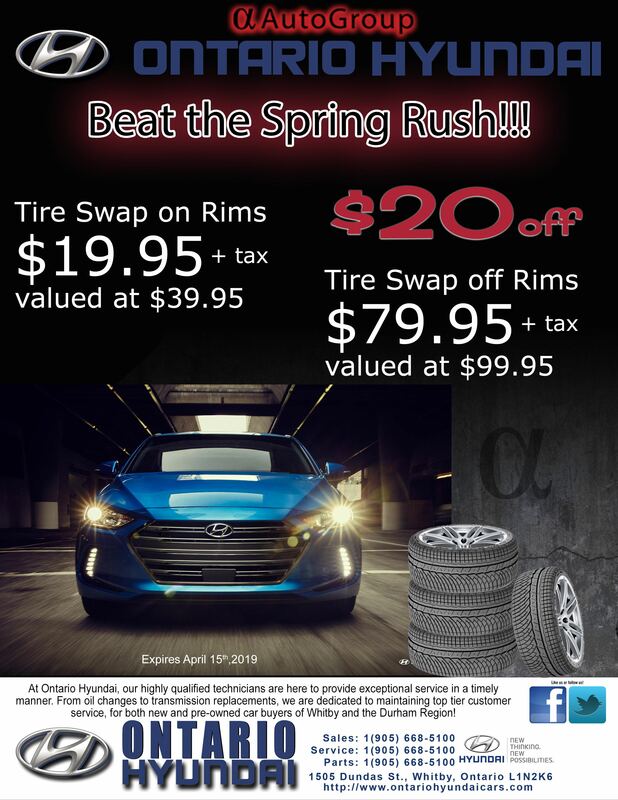 Current Ontario Hyundai Service Specials. Check with our Service Department for details and availability. Specials subject to change without notice. Check with your Ontario Hyundai advisor for details.